NEW BOOK RELEASE FOR KIDS! 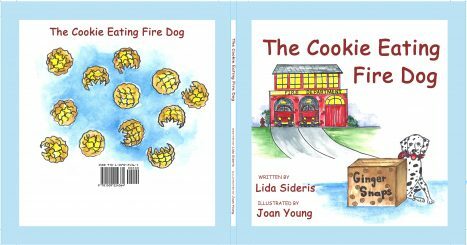 THE COOKIE EATING FIRE DOG about a dog who prefers eating cookies to helping the fire fighters. Inspired partly by the recent California fires and by a very naughty dog. February 3rd, 2-4 pm – Chaucer’s Books, Santa Barbara – Book signing. April 6th, 9-5 pm, – Writers in Action: Perfecting Your Craft Conference, Sisters in Crime Central Coast – Creating a Business Plan panel with Rolynn Anderson, Tony Piazza (moderator), Mara Purl and me at the PG&E Center, Pismo Beach, CA. 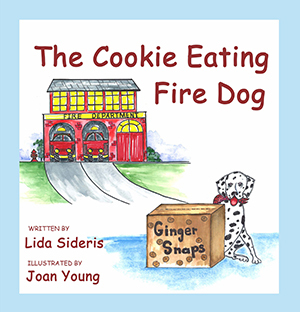 October, Goleta Valley Library – The Cookie Eating Fire Dog reading. 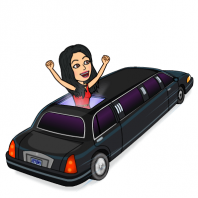 April 10th – OMG!! It’s finally here!! Book #2 in the Corrie Locke Mystery series – MURDER GONE MISSING!! Hooray!! April 14th, 2pm – Culver City Public Library – Panel: I think I’d Like to Write a Book Someday, with Sheila Lowe, Connie DiMarco and Catherine Pelanero. April 21st – CALM Celebrity Authors’ Luncheon, Santa Barbara, CA. April 22nd – Los Angeles Times Book Festival, noon, Booth 367, Sisters in Crime Los Angeles at noon. And 1 pm, Booth 376, Mystery Writers of America – SoCal Chapter. April 28th – Malice Domestic, Bethesda, Maryland, Murderous Wit Panel with authors Sparkle Abbey, Ginger Bolton, and Becky Clark, moderated by Paula Gail Benson. May 8th, 6 pm – Chaucer’s Bookstore, Santa Barbara book signing. May 12th – Mysterious Galaxy Bookstore Birthday Bash, San Diego, CA. 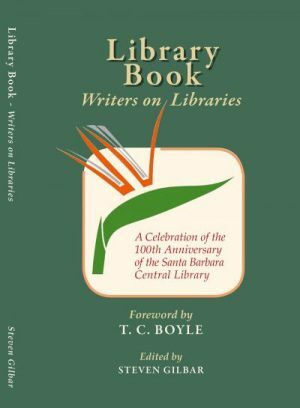 May 16th – The Book Loft book signing in Solvang, CA. May 19th – Writers in Action – Central Coast Sisters in Crime Writers’ Conference, Shell Beach, CA. June 3rd – Goleta Valley Library – Using Your Own Life in Your Fiction: Ever wonder how real life inspires fiction? Book Panel with authors Nancy Cole Silverman, Sheila Lowe, and Tony Piazza. June 9th – Book Carnival, Orange, CA with author Greg Harris at 2 pm. June 10th – Noir at the Bar: Mandrake, 2692 S. La Cienega, Los Angeles, CA. June 18th- New Book Panel, Santa Barbara Writers’ conference, 4-5 pm. June 20th: Santa Barbara Writers’ Conference: Writing Through the Fear. June 30th – Cambria Author Fair, 1-4:30 pm, Cambria Veterans Memorial Hall. September 8th – Camarillo Public Library Author Fair, 11 – 3 pm. published by Level Best Books. Now available on Amazon. 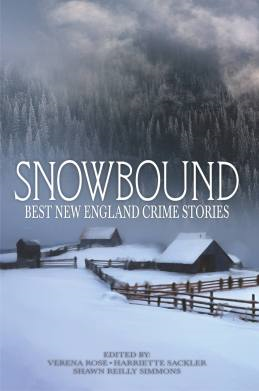 Panels: Spinning Goals into Gold (panelist), Parsing the Fine Print (moderator), How To Be Your Own Editor (moderator), Once Upon a Crime (panelist with Penny Warner, Janet Finsilver, and Ann Parker). Ojai Valley Library, Saturday March 4th, 1 pm: Creating, Producing and Promoting Your Book author panel with co-panelists DJ Adamson, Susan Tuttle, and Barbara Hodges. El Segundo Library Author Fair – Sunday, June 11th, 11:30 – 12:30: The History of the Mystery author panel with co-panelists Brett Battles, Gar Anthony Haywood, Richard Lange, Janet Lynn and Will Zeilinger, moderated by Eric Beetner. Santa Barbara Writers’ Conference – Friday, June 23rd, 4 pm: Navigating the Amazon- Building Your Author Platform, with co-panelists Lisa Angle, Gail Kearns, Jason Matthews, and moderated by Marla Miller. 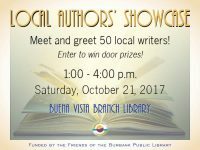 Burbank Public Library Author Fair: Saturday, October 21st, at the Buena Vista Branch. Camarillo Public Library: Sunday, November 12th, 11-3 pm, at the second annual Author Fair. Manhattan Beach Library: Monday, October 17th at 7 pm – Mystery Novels set in the South Bay of Los Angeles, with authors Sarah Chen, Jennifer Chow, and Sybil Johnson. Author Booksigning at the Ripped Bodice Bookstore in Culver City – Sunday, October 23rd, 3 pm. Author Fair at the Camarillo Library, Sunday November 13th, 11 am – 2 pm. – KillerLegal.net. Interview by renowned Boston criminal defense attorney, Joseph J. Balliro, Jr.
– On Geekitude with the supergeek, Joe Hogan!